After diet rock bottom, it's time for your breakthrough. Create a better life. Improve your health. Never diet again. It's time to evolve from dieting and body shame. My exclusive Body Kindness Breakthrough is a high-touch program based on the philosophy and science behind Body Kindness. You can choose to participate in one of my groups (usually offered monthly) or work with me in private 1/1 counseling sessions. March Groups are forming now. HAES care for diabetes, PCOS, and metabolic concerns. My virtual sessions usually start out with 4 sessions, meeting once a week for 30 minutes over 4 weeks, at $100 per session. Though I'm out of network for insurance, I can provide a superbill and other documentation that may allow you to receive reimbursement. More information is available at my counseling practice website. Early morning, late evening, and weekend appointments available. You can start with as little as one session to try it out. 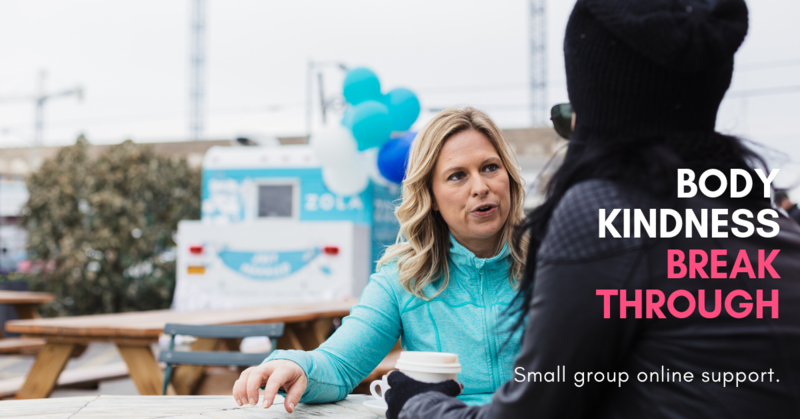 Through a short series of four small group virtual sessions, I'll listen to you share what's bothering you and what is difficult about putting Body Kindness into practice so you can finally have the breakthroughs you've been seeking. Whether it's overcoming your own "thought bullies," dealing with time barriers, or navigating your relationships while you change, you'll go farther than ever in your evolution away from diets and body shame and toward a happier and healthier life by focusing on positive self-care and well-being enhancement. Virtual groups meet for four weeks, 60 minute sessions each week. The groups meet weekly because that's just enough time to start taking meaningful action and get a whole new set of insights on the next call. After four weeks, we take a break, so you can practice what you've learned over and again (and listen to the audio recordings as much as you want). You will have the option to continue on with short, private 1/1 sessions with me or join the next group forming if you want to continue support. Groups are for anyone who wants to practice Body Kindness at any stage of their readiness. Groups are offered around a focused theme that changes with each cohort, for example: healing your relationship to food, creating joy in movement, and cultivating self-compassion in place of shame to allow a deeper dive. But don't worry about it... you can ask me ANYTHING on these calls and I'll help. I'm thrilled to partner (once again) with fellow HAES dietitian Glenys Oyston on our group focusing on a Health at Every Size approach to anyone with concerns about diabetes, PCOS, high blood pressure, abnormal lab results or any other metabolic concern. These groups are popular and usually sell out. We hope to see you there. Questions? Check the FAQ and use the email provided if you still need help. 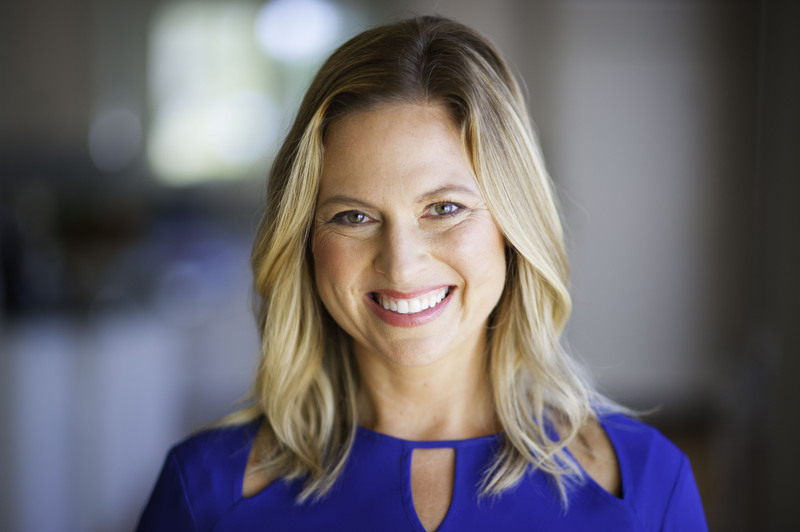 Rebecca Scritchfield is a Washington DC based Registered Dietitian Nutritionist and Certified Exercise Physiologist. She has been practicing weight inclusive, Health at Every Size care since 2008. Rebecca is also author of the book Body Kindness and host of the Body Kindness podcast. "Every time I work with Rebecca I learn something new about myself, my behaviors, my worth and my values. Body Kindness is the compass that leads me back when my thoughts, actions and behaviors stray." There is one important agreement before signing up. We are focused on health enhancement without the burden of weight loss pursuits (which aren't good for health in the long run). It's understandable if you come wanting to lose weight or hoping your body will change, but it's important to know that Body Kindness allows you to work with your body for well-being enhancement and does not focus on body control or weight loss pursuits. Many people have trouble letting go of the diet mind and I'll help you with that. But I want to be clear that we are talking about what you do when you're not dieting anymore and you're yearning for more self-compassion on this journey toward a new way of thinking, living, and being.